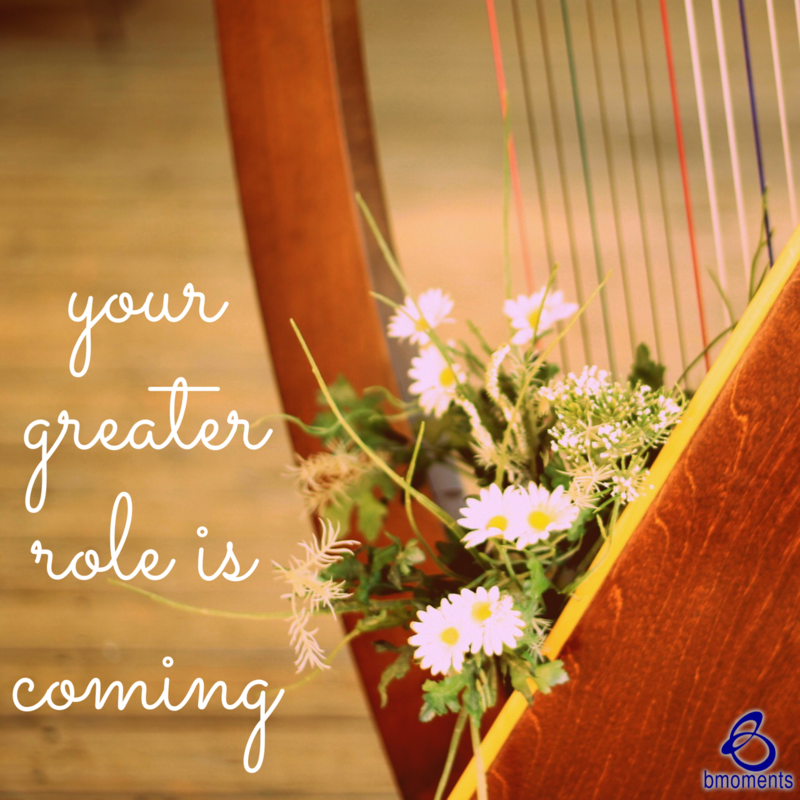 Today, I am thinking about how God can take a simple role and position you with it for greater. Recently, we’ve been talking about how King Saul had fallen out of grace with God. Soon thereafter, God chose David as the new anointed one to serve as king. Yet by the looks of David’s life and the various roles he played, one may not see him as a king. For example, David often played the harp for Saul. As the spirit of the Lord left Saul, Saul went into bouts of deep depression, and David was sent to play the harp for Saul to soothe his mind. In another instance, David was a shepherd boy where most of his life’s work was tending sheep. In fact, there was a time when all David did was go back and forth between playing the harp for Saul and tending sheep. Meanwhile, David’s brothers appeared to have a more prominent role as they served in the army. However, one day David’s father sent David to the battlefield to bring lunch to his brothers. It was this moment and all of those moments that seemed so simple that positioned David perfectly for one of the greatest accomplishments of his life: defeating Goliath. So today, go forth knowing that God can take a simple role and turn it into greater. Alright Sue Webb, I just got around to reading this B-moment and it spoke to my soul! 🙌🏼🙏🏽 As you might recall Jeremiah 29:11 is one of my favorite scriptures. When I decided to check it out moments ago, I was delighted to see that scripture. Your B-moment gave me spiritual edification and confirmation I needed this day. May God bless you Sue in a mighty way all the days of your life 🙏🏽🙏🏻🙋🏽‍♀️. Fabulous! We are GOD’s special Creation! EVERYTHING we do is GOD in action no matter how that action may be labeled by others! LOVE you! !